Den sterkeste mann i verden, det er han som står mest alene. (Norwegian) The strongest man in the world is the one who stands most alone. Professor Rugg’s research has long focused on issues related to self-construction and self-representation, particularly in textual autobiography and visual media. Authorship is another strong allied research interest, with special attention to the authorships and authorial personae of August Strindberg, Mark Twain, Ingmar Bergman, and a range of art cinema directors who perform as authors. 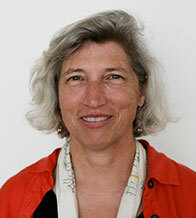 In addition to her interest in autobiographical studies, Rugg has drawn inspiration for her research from two of the courses she teaches: “Ecology and Culture in Scandinavia” and “Hyperwhite: Policing the Boundaries of Whiteness in American Literature and Film.” The ecology course led to an exploration of the Scandinavian ecological subject in literature, art, and film, while the hyperwhite course (based originally on American culture) developed into a study of whiteness and race as represented in Nordic literature, film, and visual arts. She is working on articles and book projects in both of these fields. Rugg has been active as a translator of critical essays and literature from both Swedish and German into English. She enjoys lecturing and teaching in the broader community, both in individual presentations at diverse venues and through the Osher Lifelong Learning Institute at the University. She has served as a consultant on the Environmental Humanities to Sweden’s Foundation for Strategic Environmental Research (MISTRA). For five years she acted as a member of the Modern Language Association’s Executive Division Committee for Autobiography, Biography, and Life-Writing, and she has also served as a member of the Executive Board for the Society for the Advancement of Scandinavian Study. She is on the editorial board for Samlaren: Tidskrift för forskning om svensk och annan nordisk litteratur (Journal for the Study of Swedish and Other Nordic Literature.” She is a co-editor with colleague Professor Sanders for the third volume of the ICLA project, A Comparative History of Nordic Literary Cultures. Self-Projection: The Director’s Image in Art Cinema, Minneapolis: University of Minnesota Press, 2014. Picturing Ourselves: Photography and Autobiography (1997) University of Chicago Press. 286 pages, 38 illustrations.